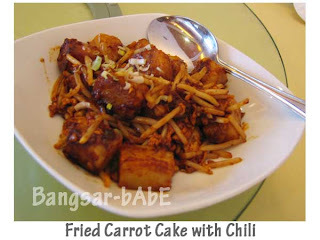 The Fried Carrot Cake with Chilli was really tasty. Cooked with loads of bean sprouts, spring onions, eggs, dried prawns and garlic, it was well flavoured with just the right balance of chilli and sweet black sauce. I quickly placed two more orders of this. The Prawns in Rice Rolls was alright. 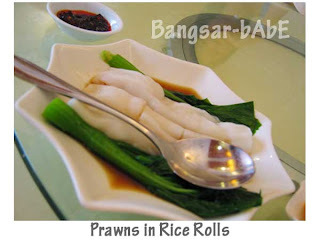 Soft cheong fun with juicy prawns inside, the light sauce gave a tinge of saltiness to the otherwise bland rice rolls. The chilli dipping however lacked “ommph”. It was quite tasteless and wasn’t spicy at all. 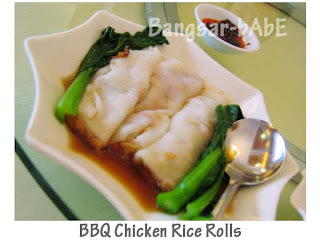 The BBQ Chicken Rice Rolls tasted better as the marinated meat gave the rice rolls more flavour. 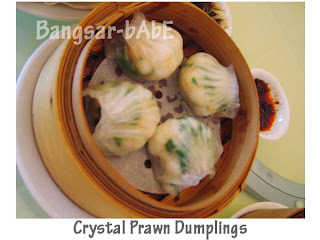 Crystal Prawn Dumplings (Har Kau) were one of the better ones I’ve had (compared to Hong Kee and Tai Thong outlets). The skin was translucent and the prawns with bits of chives were crunchy. The Steamed Chicken Siew Mai was not good at all. It was full of MSG and we felt very thirsty after that. Plus, the “egg roe” was not steamed well enough resulting in whitish specks instead of a nice orange hue. I also ordered the Steamed Dumpling in Special Sauce which turned out to be Sui Gao in sweet and spicy sauce. Nothing to shout about as the skin was hard and chewy because they didn’t steam it long enough. 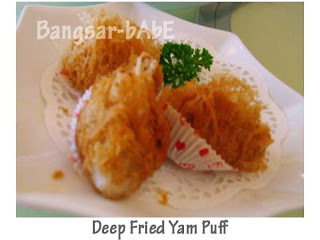 The Wu Kok (Deep Fried Yam Puff) was not bad. 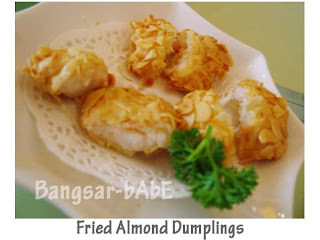 The crispy and light puff casing was filled with savoury minced chicken. Very moreish…I loved this and ordered 2 more servings. 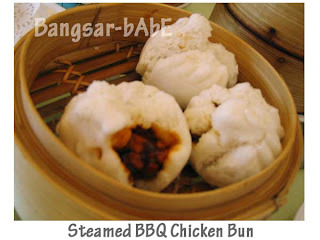 The Steamed BBQ Chicken Bun was rumoured to be good so I expected nothing less than that. The chicken filling was done char siew style and they added pine nuts in it which was unique. The bun was light and fluffy BUT it was still average. Not as good as good old BBQ pork buns. The Steamed Shanghai Dumpling (Xiu Long Pau) was a disaster. It was merely steamed pau, minus the soup! 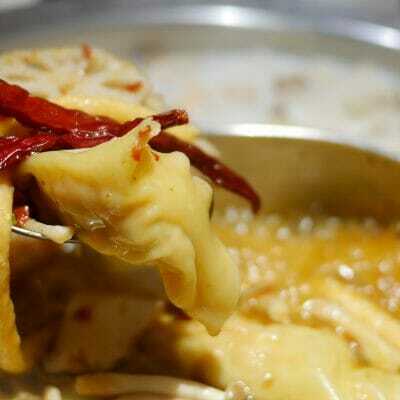 The skin was also too thick and the dumplings were badly folded. We also had Pan Fried Dumplings, Fried Turnip Cake, Fried Almond Dumplings, Deep Fried Fish Paste with Seaweed and Deep Fried Dragon Beard Dumpling. 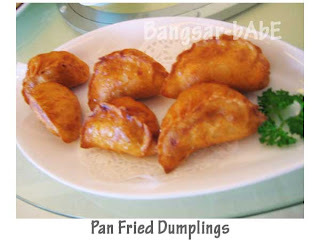 The Pan Fried Dumplings were mediocre. The skin was very thick, and tasted almost like curry puff dough. The meat filling inside was quite tasty though. 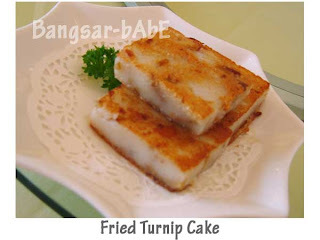 The Fried Turnip Cake was also average, I thought it tasted rather bland and had to constantly dip it in chili sauce. The Fried Almond Dumplings were alright. 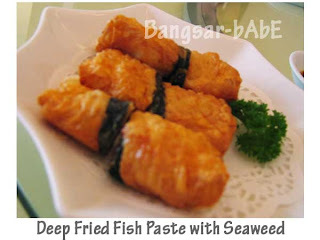 It was merely fish paste coated with almond flakes and deep fried till crispy. Nothing great, but it went well with the mayonnaise we asked for. 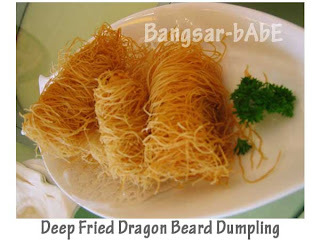 Same could be said about the Deep Fried Fish Paste with Seaweed and Deep Fried Dragon Beard Dumpling. They were better enjoyed with a generous dipping of mayonnaise. 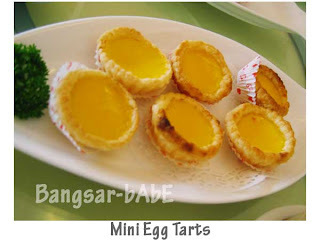 For desserts, they only had the Glutinous Ball with Salted Yolk & Custard, Baked Sweet Potato Puff and Mini Egg Tarts. The glutinous ball was not bad. With yellow custard filling that melts in your mouth, it’s like a Chinese version of onde-onde. I really liked the Sweet Potato Puff. 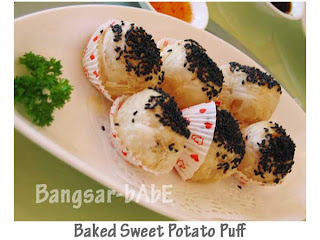 The pastry was light and flaky, topped with black sesame seed with soft yet not mushy sweet potato filling. Everything just melts in my mouth…I had all these to myself since none of them wanted any. Their loss! The Mini Egg Tarts were quite average. While the crust was nice and flaky, I felt the egg custard lacked body. It was a bit wobbly and watery. Someone actually told Mei Shum and I that the egg tarts at China Treasure are fantastic. 0_0 Shum agrees that it’s mediocre. We each got to choose (one bowl per person only) between tau foo fa or honey dew with sago. rif, Jeen and I had the Honey Dew with Sago while Mike and Shum asked for Tau Foo Fa. NOT NICE at all. 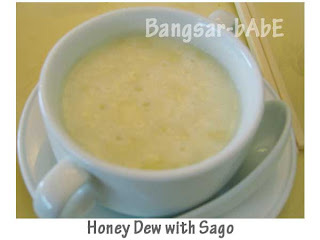 The honey dew with sago tasted like sago “kuih”, as the sago was clumped together. 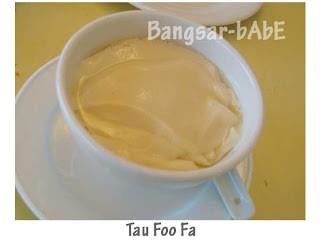 According to Mike, the Tau Foo Fa was too dry and tasted more like plain tofu with sugar. Overall, the food was very average with way too much MSG. The Fried Carrot Cake with Chili, Baked Sweet Potato Puffs, Deep Fried Yam Puff and Crystal Prawn Dumplings were quite good. The others were forgettable. Not something worth paying a visit for. We found the buffet selection rather limited (we ordered almost EVERYTHING on the menu). Service was slow and the waitresses were unpleasant and sour. They were also not attentive, we had to keep asking them to fill our teapot with hot water. I wonder why we have to pay for service charge when they can’t even give us decent service. The bill came up to RM 209 (including 5% tax and 10% service charge) for the 5 of us. They charge RM 5 for their appetizers. If you don’t want it, just return it to them and make sure they don’t bill you for it. Thank you Mei Shum, Mike & Jeen for buying me lunch! Verdict: Mediocre dim sums, bad service. 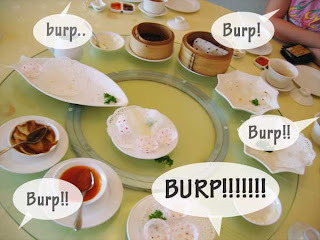 However, the buffet (RM 33++ per person) is quite worth the money if dim sums are your thing and you can’t get enough of them. I am not sure which dish contains a lot of MSG, but by the end of the meal i think i drank 2 pots of tea myself. the egg tart i had was not really cook, not sure if it was intentional but it was kind of weird. 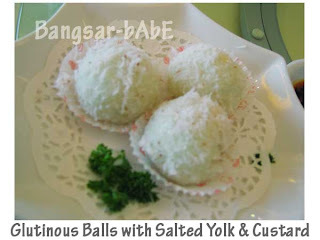 the most interest yet nice dish would be the glutinous ball with salted yoke and custard. it had that interestingly weird savory and sweet taste. Me too. Even Mei Shum felt thirsty after the meal. The egg tarts from Tong Kee tastes better. Don’t you think? Ya…the glutinous ball was nice. Too bad they ran out of it (That shouldn’t even be the case. It’s a buffet!). I really wanted more of that. Maybe John king egg tart is nicer..
maybe you ate all the glutinous ball, that’s why they ran out of it.